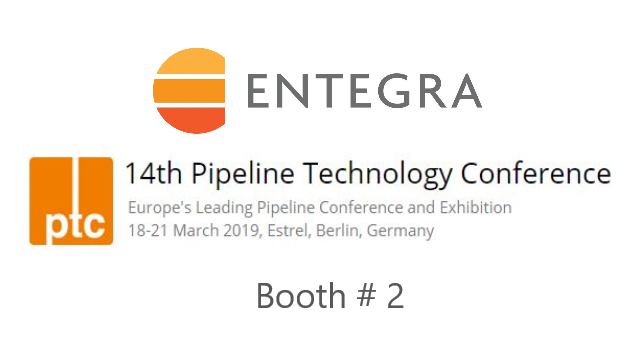 ENTEGRA will be exhibiting at the Pipeline Technology Conference in Berlin, Germany on March 18th through the 21st. Do not miss this opportunity to stop by and talk with us about our fleet of UHR Ultra High Resolution In-Line Inspection tools and how we are servicing the Eastern Hemisphere Pipeline Operators with our superior Data Quality. ENTEGRA is pleased to be a Sponsor and Exhibitor of the 2019 Banff Pipeline Workshop on April 8th through the 11th in beautiful Banff, Alberta, Canada . We will be participating in all In-Line Inspection related workshops throughout the week and exhibiting our Ultra-High Resolution inspection capabilities and advantages. Stop by our booth to speak with us about our new small diameter tethered tool fleet and unmatched data quality. 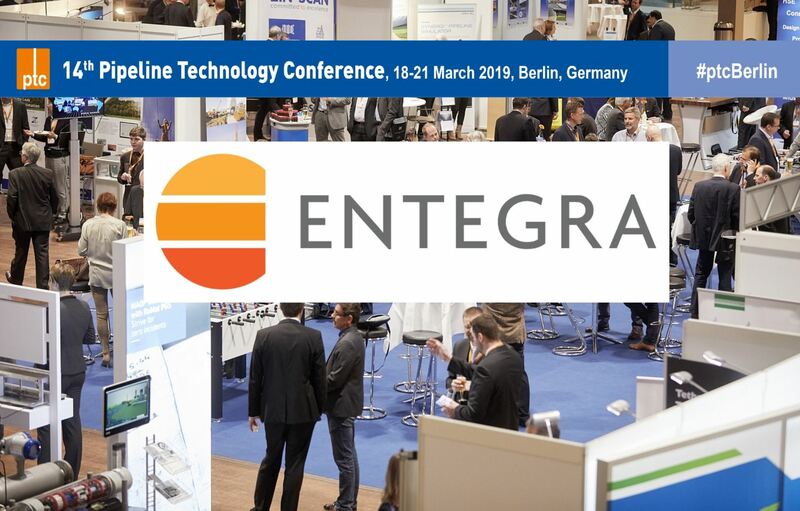 ENTEGRA is excited to be exhibiting at this years 14th annual Pipeline Technology Conference in Berlin, Germany. We will be talking about how our superior Ultra-High Resolution MFL/Caliper tools help Pipeline Operators throughout the Eastern Hemisphere assess and prioritize difficult pipeline integrity threats. You will find us in booth # 2, just to the left as you walk into the entrance of the exhibition hall. 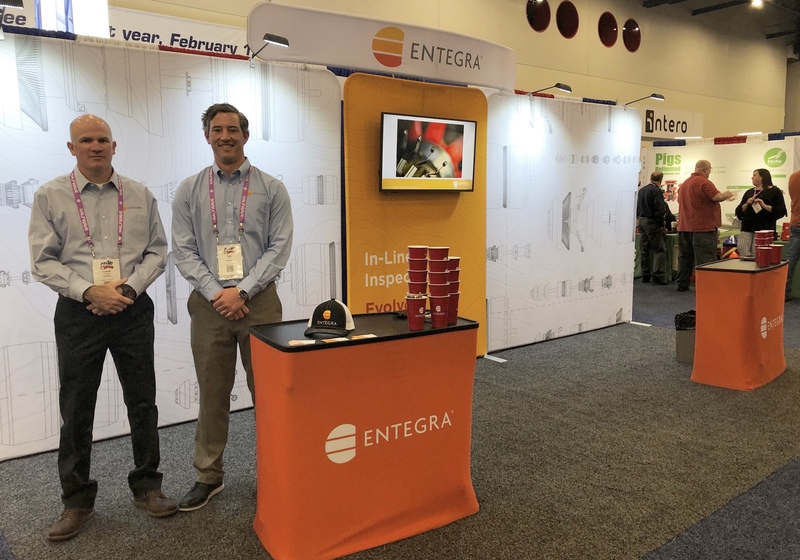 Swing by to speak with one of our regional Account Managers about the value of ENTEGRA’s tool design, superior data quality and customer services. We call it The ENTEGRA Difference. Looking at the world of Magnetic Flux Leakage In-Line Inspection tools you will find a plethora of options, all with sightly different values and capabilities. Its important to know the difference and understand the value of the tools and technology you choose to assess your pipeline. 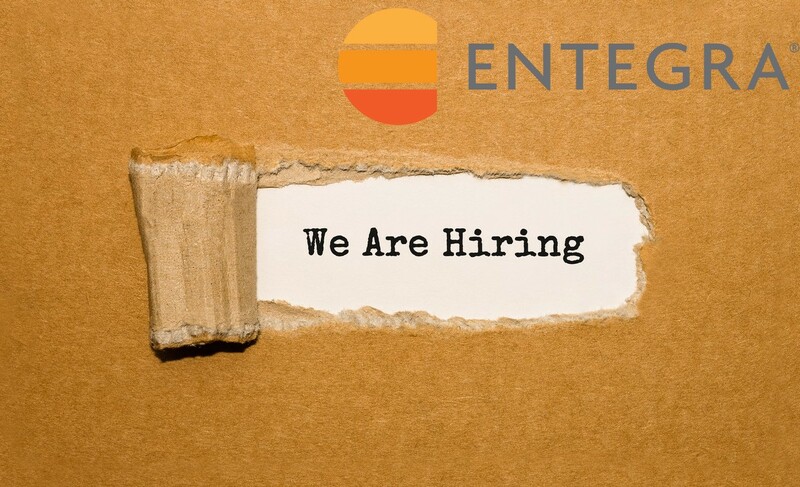 The ENTEGRA Difference is Ultra High Resolution MFL/Caliper data coupled with one of the most robust and navigable tools in the market today. Through a wide range of tool diameters spanning from small to large, ENTEGRA delivers to you in a report within 45 days, the highest resolution MFL and Caliper data. We are talking about a level of resolution that allows you to detect anomalies down to the size of small pinholes and measurable corrosion in places like along the long seam of a pipeline, with a high level of confidence and accuracy.